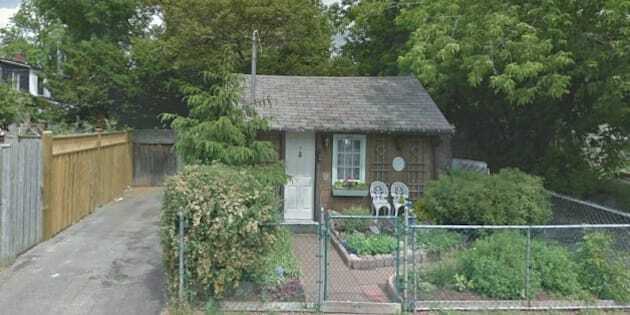 That almost impossibly tiny house in Toronto that we reported on last month has found a buyer after just three weeks on the market, though it sold for well below asking price. The property at 30 Hanson St. on the east side of Toronto’s inner city got a lot of publicity on real estate sites and blogs as an example of just how tight the city’s housing market has become. So tight, in fact, that a house the size of a typical backyard tool shed went on the market for $229,000, enough money to buy a large suburban home in some Canadian cities. But it sold this week for $165,000, the National Post reports, a good 28 per cent below asking price. Realtor Paul Vallis says he had a hard time figuring out the right asking price. "How do you price a property that doesn’t have anything to compare it to?" he asked. All the same, $165,000 is a pretty penny for three small rooms in a house that is a grand total of 189 square feet. And the new owner of this property isn’t the only one who’s going to have to get used to living in cramped quarters. According to BuzzBuzzHome, the average size of a Toronto condo has fallen once again, and now sits at 739 square feet. Small, but that's four times the size of the Hanson Street house. And just a decade ago, the average resale condo in Toronto was 1,006 square feet. Obviously this shrinking trend can’t go on forever, but if it goes on too long, that tiny house on Hanson Street might just start to look like luxury living.